A free-thinking hot dog named Frank strives to discover the truth about his existence. Hilarity ensues as Frank and friends find out what really happens when they become chosen to leave the grocery store. Sausage Party, the R-rated animated comedy, hits the drive-in Friday, August 12. 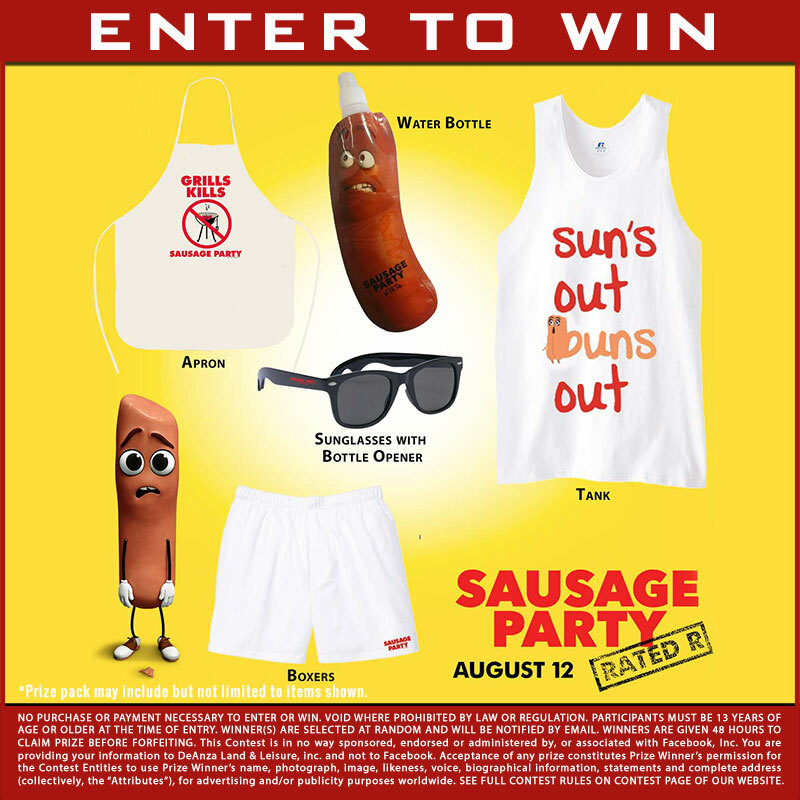 We are giving away an official Sausage Party Prize Pack! Submit your information below for a chance to win. Contest ends 8/23/16 at 11:59pm. Winners will be randomly selected on 8/24/16 and will be notified via email. Winners have 48 hours to claim prize. Be sure to add info@starlightdrivein.com to your address book to ensure our emails make it to your inbox!